DuCharme Framing… offering full service framing from kid art, posters, diplomas, to fine art and museum standards. Photography courtesy of Blake Vadasy. Showcase and protect your piece with a quality handcrafted frame. 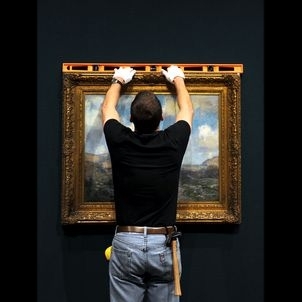 Hanging art properly is a must if you want to take full advantage of your investment. Restore damaged frames, replace broken glass, repair damaged art on paper or canvas.